Many girls in Afghanistan get no education at all. Even those who do enroll in a school typically study for just four years. So these members of Kabul University's class of 2010 are definitely in the minority. 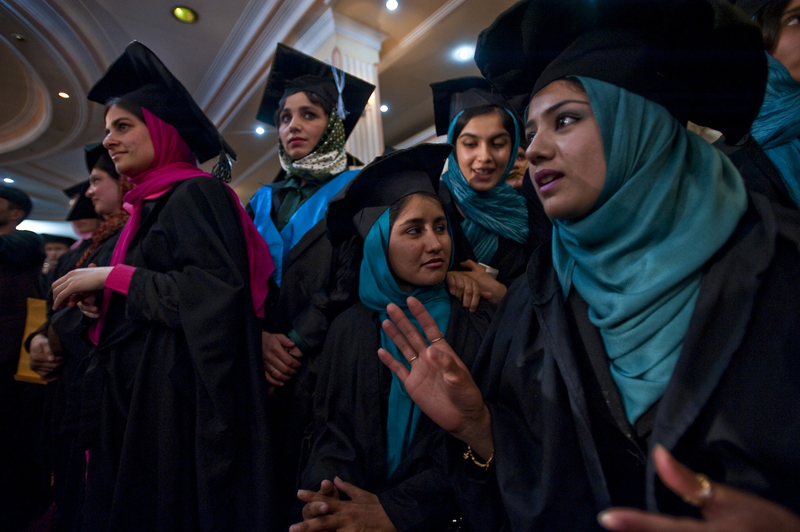 Wearing hijab under their mortarboards and seated in separate rows from their male peers, the women pictured are graduates of the department of language and literature. The Taliban had banned the education of women, but classes resumed after the regime fell in 2001. This graduation was held under tight security at a hotel in Kabul because of an upsurge in terrorist attacks.